here it is! at long last! 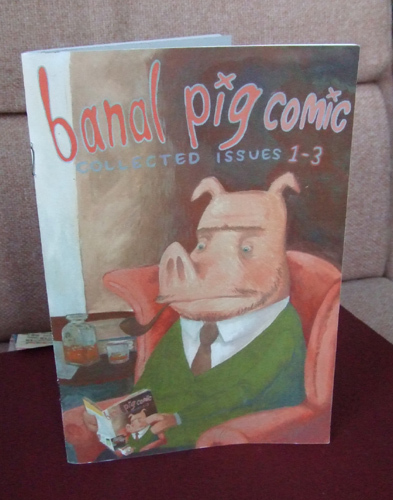 every strip from banal pig comics 1-3 (see banal pig pages for more details), presented in A5 format with colour covers. 80pp b&w with colour covers, not suitable for kids.